It’s no secret that enterprises everywhere are either evaluating which apps to mobilize or are deep in development to ensure that the right apps rapidly become ‘mobile ready.’ In a recent report published by Apperian, there is a section dedicated to ensuring that mobile business apps have the intended impact on ‘helping’ the workforce and do not disrupt productivity. According to this same Apperian research, the average number of mobile apps being deployed across the enterprise is 35. As mobile integrates further into corporate strategy, the user’s experience is even more critical to driving adoption. A poor user experience can cause the mobile strategy to fail – leaving a negative experience upon the workforce. Working at Aternity with a varied set of customers across different industries, I’ve seen various stages in mobile maturity. Most of the enterprises have selected an MDM vendor and are developing or have developed policies around BYOD. They have delivered secure versions of Mail, Calendar, Contacts, and other core productivity apps. But mobile devices and productivity apps are just the start. By themselves, they won’t enable enterprises to radically improve productivity or customer satisfaction. When it comes to vertically aligned business, the maturity is much more varied. A small segment of our customers have deployed business-critical mobile apps that enable their workforce to serve customers more efficiently, whether in retail, consumer banking, or insurance. Conversely, I’ve seen a higher number of others that are still at an early stage of delivering business critical mobile apps — that enable their workforce to perform business functions — currently delivered only via web apps or desktop apps. If you’re at this earlier stage in your mobile app deployment, now is the time to consider the value of Mobile APM in ensuring success. For example, one of my customers, a large biotechnology company, engaged Aternity to monitor a business-critical mobile app currently in a beta stage, released to just a few hundred users. The mobile app is intended to mimic a critical web-based app that allows users to access a critical document source. The expected potential of this app is large given the importance of the source content it will enable on the mobile devices. So while the user population is small, the future value and reach of the app is quite large. Quality | How often is my mobile app crashing? How often are the critical business functions in the app failing or are they too slow? Management | How will our technical teams be able to monitor the performance of this app? Can we leverage the existing monitoring tools and processes we use for other, non-mobile, business critical apps, or not? Adoption | Are my users even accessing the app? How often? What features and functions are they using and when? With its support for the use cases of app developers, IT operations, and the line of business, Aternity Mobile APM is perfectly positioned to exactly address these questions. With out-of-the-box monitoring, Aternity is able to show usage, app errors, app crashes, web service errors, and web service performance. Aternity enables operations teams to monitor End User Experience of any app, running on mobile, virtual, or physical devices, all with a common workflow and consistent set of analytics. Central monitoring of mobile apps eliminates the need to acquire separate monitoring tools, speeding time to support. In addition, with a small amount of monitor configuration, Aternity can also measure individual business activity performance and volumes to track actual usage of the mobile app for critical business steps. Rather than relying solely on stress test systems for performance, the client can get real time feedback on actual user performance. Further, the client can see true adoption statistics also in real time. With this kind of visibility into app quality and adoption, mobile monitoring becomes a must have. For companies attempting to innovate quickly and adopting an agile (fast) development and release cycle, real-time quality and adoption data can ensure that the promise of these approaches reaches its true potential value. With Aternity, developers get the full range of diagnostics you need to ensure your app earns a five star rating. When problems occur, isolate them to your code or the network, and analyze them with code level stack trace. 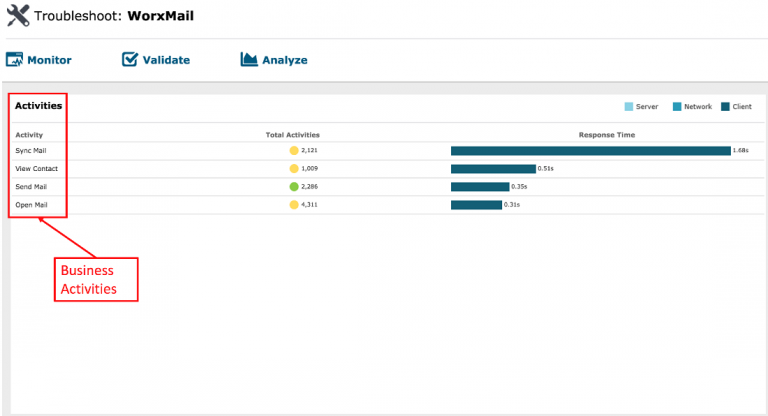 Prioritize your response by identifying impacted services, users, and devices. 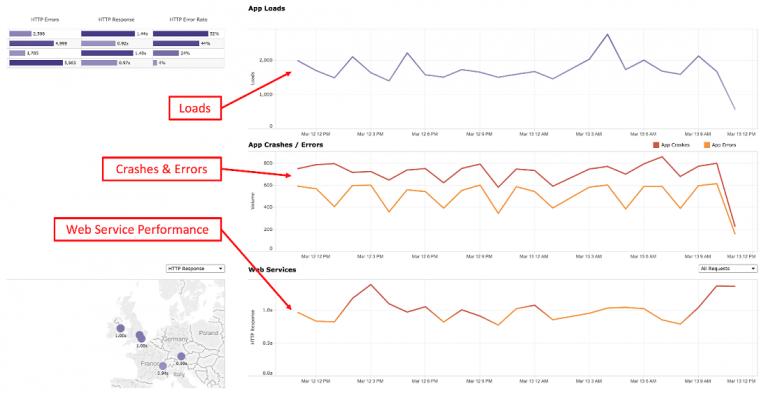 Optimize the performance of your app across device and OS versions, geographies and carriers. And streamline the performance of your app with analytics of response time, throughput, and data transfer size. The Aternity Mobile Wrapper includes all of the capabilities of the Aternity Mobile SDK, so there is no loss of monitoring functionality. 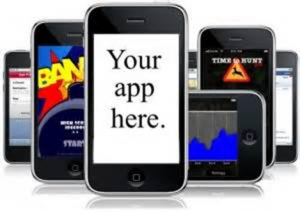 This enables enterprises to ensure quality user experience for mobile apps. And because there are no code changes, there is no extra development effort or impact on release schedule when apps are updated.